I have a stash of Will Smith movies at home. He has proven that he can become a front-liner for any blockbuster hit movie and I am one who bought that fact. I have copies of most his movies and I enjoyed watching each and every one of them. Add his son to the equation and I am all done. Jaden Smith, who has proven he has his father's chops in Karate Kid, has worked in tandem with his father before in a very moving movie titled The Pursuit of Happyness. And it is undeniable that their father-and-son chemistry is as convincing in the big screen as it is in real life. Now that all these things are in place wouldn't you be happy that this duo will work together once again in a new Sci-Fi movie titled After Earth? I was ecstatic, of course, but upon seeing a certain name attached to the movie made my heart sink. Seeing that M. Night Shyamalan is attached on the directorial seat, the previous preceding facts simply vanished into thin air. Has anyone forgotten The Last Airbender and how each and every fan of the original TV series harbor a grudge on it? I don't wanna go jump over the bandwagon once again, but this movie may be the one that could reinstate Shyamalan in his golden throne once again when he was still awesome -- The Sixth Sense era. He had a few misses in the past, but we can't cancel out his successes and put to the trash how good a writer he really is. If After Earth will turn out to be really good and not just another attempt to perfect failure, then I'll put back all my M. Night Shyamalan movie stash into my movie shelf once again, together with my Will Smith collection. 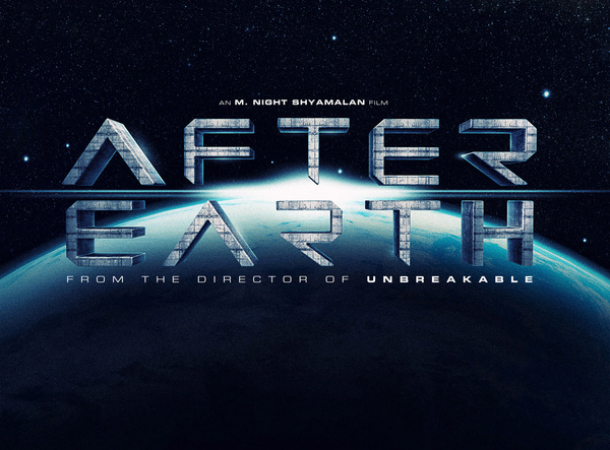 After Earth will premiere internationally on June 7, 2013.